Arbortech has been pruning trees throughout Adelaide since 1990. 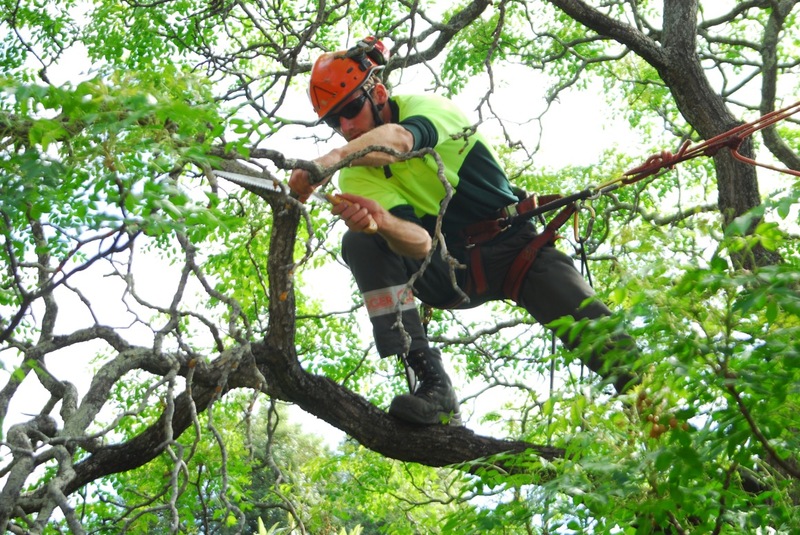 As Adelaide’s leading specialist in the field of tree pruning and crown management for nearly three decades, we have become familiar with the specific requirements of trees in all areas of Adelaide, from the Adelaide Hills, to Adelaide’s western suburbs, out north toward Gawler and the Barossa Region, all the way down to Adelaide’s southern suburbs. We work Adelaide wide but if you want to make sure we can service your area, just give Jace a call to find out. In an urban environment most trees will require maintenance pruning every 3 to 5 years. If you have a tree which hasn’t been pruned for several years, or you are unsure if your tree requires any pruning, ask us to come out and provide a quote and advice on the management of your trees. Minor pruning can lengthen the life span of your tree, remove defects, reduce risk and solve other problems which can arise by not caring for your trees. Trees can put on a lot of new growth over the Winter and Spring periods which means come Summer, you may have fire hazards you need to manage. Not are trees near houses are a bushfire risk. If you’re not sure what your fire risks are, give our Arborists a call and they’ll be able to come out to your property and advise you what you need to do to be safe this summer. Want to know more about pruning for the bush fire season? Why choose us for tree pruning? Our qualified and experienced staff are trained by our company from the bottom up, to ensure consistency in Arboricultural quality. You can have peace of mind knowing that all our team members are directly employed by us, and are not sub-contractors. We care about your trees and want you to benefit from our passion for quality arboriculture. You can be sure that your trees are in the capable hands of Qualified and experienced Arborists. Browse the information and links below, to find out more about our services and expertise in the Arboricultural field. ‘Types of tree pruning’ Replace this heading with ‘Further information on tree pruning’. Everything below this point; keep the existing text and links as is. The removal of dead branches. Formative pruning to control the development of young trees. Selective removal of specific branches, usually related to form, obstruction or risk issues. Crown maintenance pruning typically manages issues that develop over time. This type of pruning can be used to minimise the likelihood of branch or stem failures during of storm events. It is generally applied every 3-5 years. Crown modification changes the size and or form of the tree through the use of various pruning techniques. Reduction pruning; reducing the length of branches and stems back to side laterals or stem. Pollarding; controlling tree size and shape by annual or biannual pruning back to a pollard head. Remedial or restorative pruning; used for trees that have suffered die-back, or storm damage, vandalism, or lopping damage to improve tree form and appearance over time from the growth that remains. There is potential for short and long term harm to trees within this group of pruning techniques. All forms of crown modification need to be specified by a qualified Arborists for a specific purpose. The work needs to be carried out by a qualified and experienced Arborist. Reduction pruning can be used to minimise the impacts of storm events on your tree, and generally occurs every 3-5 years. Arboriculture is more than just about trees. The trees are part of the urban forest, providing a wide range of environmental and societal benefits and values. Turning a dead or diseased tree into a ‘Habitat tree’. Bird or bat box installation. Carving bird or bat hollows into existing trees. Coronet cuts can mimic natural branch or stem failures, greatly improving tree appearance and blending in habitat trees sympathetically with their surroundings. Habitat pruning is a specialized area of expertise, and Arbortech is a leader in this field. Fruit tree pruning by qualified and experienced arborists. Hedge maintenance, pruning or re-shaping by qualified experienced arborists. Advice on garden management by qualified and experienced arborists. These practices can result in a significant loss of tree benefits, excessive epicormic regrowth, structural instability, fungal decay, insect attack and increasing maintenance costs.